LifeLock is at the forefront of identity theft protection. Mobile technology and apps, have changed the way consumers behave and even what identity actually means. Because of this, LifeLock pairs protection with convenience and puts you in control of what you are showing to the world. Get Standard Monthly Subscription for $7.99 a month. Get 15% off with Military/Veteran Program + Free gift of U.S. flag + Free 30 Days. No one can prevent all identity theft. LifeLock does not monitor all transactions at all businesses. Get 10% off the first year when you Sign up. Terms apply. Get a Free Identity Protection Guide when you sign up for emails. No one can prevent all identity theft. LifeLock does not monitor all transactions at all businesses. Get 15% off your order + 30 Days Risk-Free when you sign up. Take 10% off All Memberships. No one can prevent all identity theft. LifeLock does not monitor all transactions at all businesses. Get 15% off 1st year + 60 days risk-free with membership. 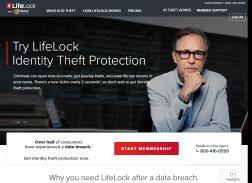 Sign up for Lifelock today to protect your identity from data breaches. 10% off your First Year and 30 Days Risk-Free. No one can prevent all identity theft. LifeLock does not monitor all transactions at all businesses. Norton offers comprehensive protection for your devices, identity, privacy, connections and home. 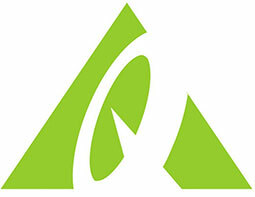 Surf, bank, game and shop online more securely. Save up to $90 now! Terms apply. Get 10% off your first year when you Sign up. No one can prevent all identity theft. LifeLock does not monitor all transactions at all businesses. Get 10% Off Any Order When You Enroll Now. No one can prevent all identity theft. LifeLock does not monitor all transactions at all businesses. Get 10% off your First Year + 30 Days Risk Free.No one can prevent all identity theft. LifeLock does not monitor all transactions at all businesses.